Robert, an Oakland cop, still can't let go of Suzy, the enigmatic Vietnamese wife who left him two years ago. Now she's disappeared from her new husband, Sonny, a violent Vietnamese smuggler and gambler who's blackmailing Robert into finding her for him. As he pursues her through the sleek and seamy gambling dens of Las Vegas, shadowed by Sonny's sadistic son, "Junior," and assisted by unexpected and reluctant allies, Robert learns more about his ex-wife than he ever did during their marriage. He finds himself chasing the ghosts of her past, one that reaches back to a refugee camp in Malaysia after the fall of Saigon, as his investigation soon uncovers the existence of an elusive packet of her secret letters to someone she left behind long ago. Although Robert starts illuminating the dark corners of Suzy's life, the legacy of her sins threatens to immolate them all. Vu Tran has written a thrilling and cinematic work of sophisticated suspense and haunting lyricism, set in motion by characters who can neither trust each other nor trust themselves. This remarkable debut is a noir page-turner resonant with the lasting reverberations of lives lost and lives remade a generation ago. When Suzy left me, it was easy at first. No children. No possessions to split up. No one really to care. I was an only child, my parents both years in their graves, and her entire family was either also dead or still in Vietnam. After eight years together, I'd gotten to know maybe two or three of her friends, and the only things my police buddies knew about her was her name and her temper. She gave me the news after Sunday dinner. I was sitting at the dining table, and she approached me from the kitchen, her mouth still swollen, and said, "I'm leaving tomorrow and I'm taking my clothes. You can have everything else." She carried away my -half--empty plate and I heard it shatter in the sink. In all her moral complexities, Suzy is a boldly imagined protagonist, not easily likeable but deeply human just the same. That we learn about Suzy solely through memories pieced together by others and end up caring about her as deeply as we do, is testament to Tran’s remarkable craftsmanship. By effortlessly moving a noir story beyond the confines of its genre, he proves he is a writer to watch. (Reviewed by Poornima Apte). Starred Review. This is a most enjoyable mystery, from its distinct, dazzling premise all the way to its satisfying conclusion. Starred Review. This haunting and mesmerizing debut is filled with all the noir elements - a dark and seedy underworld, damsels in distress, tarnished heroes, and a blurring of moral boundaries. 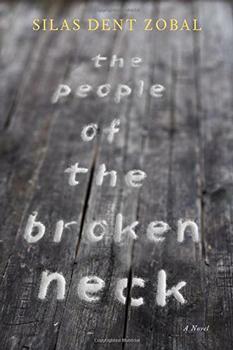 It examines such themes as culture, desperation, memory, mental illness, love, loss, and redemption. Highly recommended. Starred Review. Right off the bat, Tran displays the most admirable and worthwhile gift a serious thriller writer can have: compassion toward even the most disreputable of his characters. Vu Tran's Dragonfish is that rare hybrid marvel - a literary thriller, a narrative of migration and loss that upends the conventions of any form. In Dragonfish, Suzy writes about leaving Vietnam with her daughter, and arriving on an island before finally being resettled in the United States. 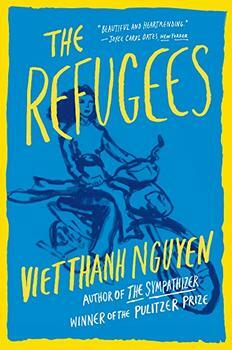 She was one of many boat people, and this aspect of the story might well be modeled after Vu Tran's real-life experiences where he and most of his family were refugees at Pulau Bidong before passage to Oklahoma. It was only in Oklahoma that Tran met his father for the first time.